A documentary about the member of the brazilian Communist Party, Congressman elected by vote, and later on enemy number one of the brazilian dictatorship of 1964, Carlos Marighella. I don't think that books are automatically better than their movie adaptations, but this is clearly the case: not only a lot of changes were made but the general meaning of the story was subverted, delivering a faded, less thought-provoking message. Saviano penned both the screenplay and the novel, but he and the other writers choose to omit the violent scenes, include several scenes that did not occur in the novel, and change the personality of the main character. In the movie, Nicholas is a teenager who essentially dreams about making mafia "great again", and is portrayed as having a sense of justice and being essentially a good boy who did terrible decisions. The violence is limited to a few gunshots, and the meaning of the ending focuses on the impossibility of change. In the novel, Nicolas is immediately portrayed as a power-thirsty teenager who was inspired by Machiavelli and that has no ethics whatsoever (e.g., mild spoilers, to give an idea: to punish a gang member for having stolen a gun without permission, he almost forces his sister to be gang raped; the movie version of the character would have never done this). The violence is brutal and striking, and the story aims at describing the inner evil that teenagers that are involved with the System experience because of the environment they live in. I personally felt much more invested while reading the novel than while watching the movie. 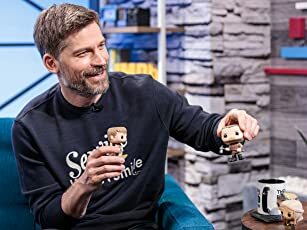 Except for one specific scene that was the only identical one to the novel, most of the sequences felt dry or non-authentic. For who knows the novel, I think it is impossible to appreciate the film. 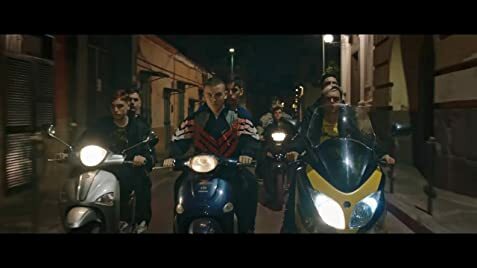 Technically wise, it felt very similar to Garrone's Gomorra, probably it aimed at replicating the feel of that movie, but while the distanced photography and dryness of sequences in Gomorra gave a "tranche de vie" feel, it is not the case for La Paranza dei Bambini. It is sad that this film was chosen to be ran at Berlinale, when Italy has just released Il Primo Re, a masterful and very creative work of art that risks not receiving well-deserved international recognition.